The Phoenix band What Laura Says (formerly know as What Laura Says Thinks and Feels) will be releasing their new album, Thinks And Feels, on August 19. Kinda confusing right? We're here to clear this up for you. If you'd like a little more info on the band we wrote a little piece on them in March right before this year's SXSW. We got to see What Laura Says a few times at SXSW, including a Lou Reed tribute. 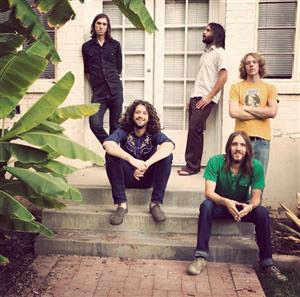 Later this month they will be returning to Austin to grace us with their presence at Stubb's BBQ. You can buy tickets here for $8. The rest of the tour dates are down below.